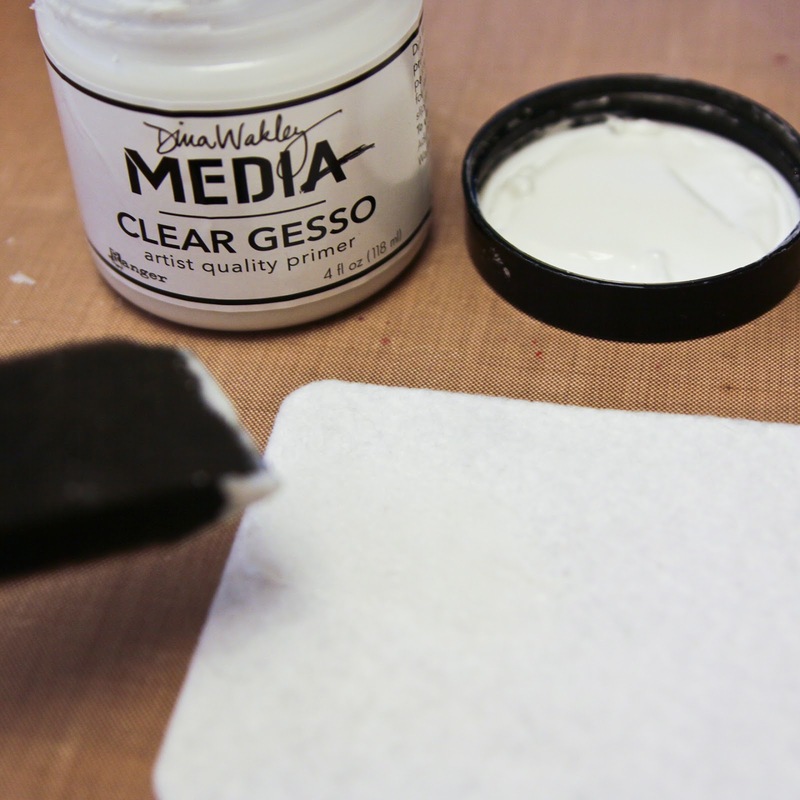 To give the white felt a little more stability, give one side a few coats of gesso, letting each coat dry before applying the next. Die cut two bears, flipping the felt between cuts so the gesso side will be on the inside when you place the two bears together. Does that make sense? 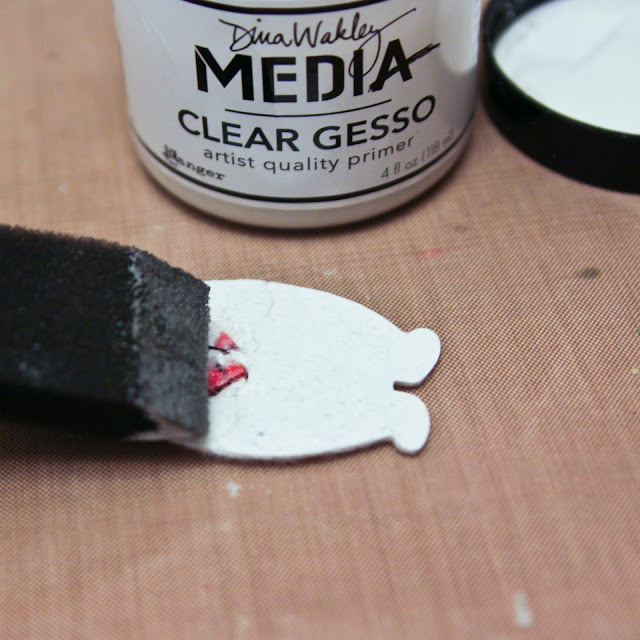 For the bear that will be the back, apply another coat of gesso to seal the arms. 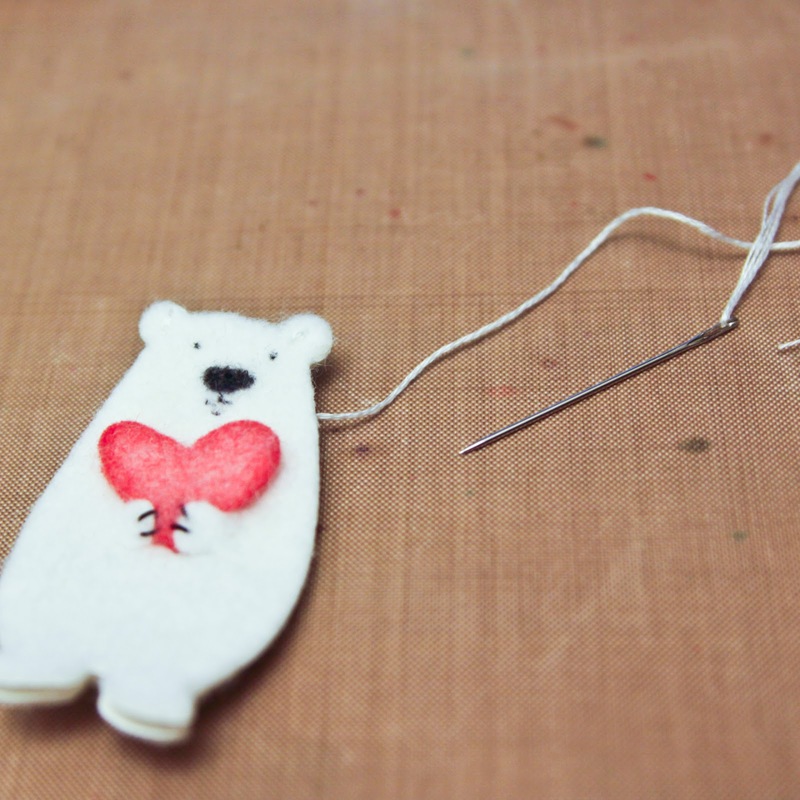 Stamp the face by masking edges of the felt bear so just the little eyes, nose & mouth stamp. I used Stazon ink. Die cut one pink heart for the front bear and stitch to the little bear paws with black thread to look like claws. Apply another coat of gesso to the back to help secure the heart & arms. 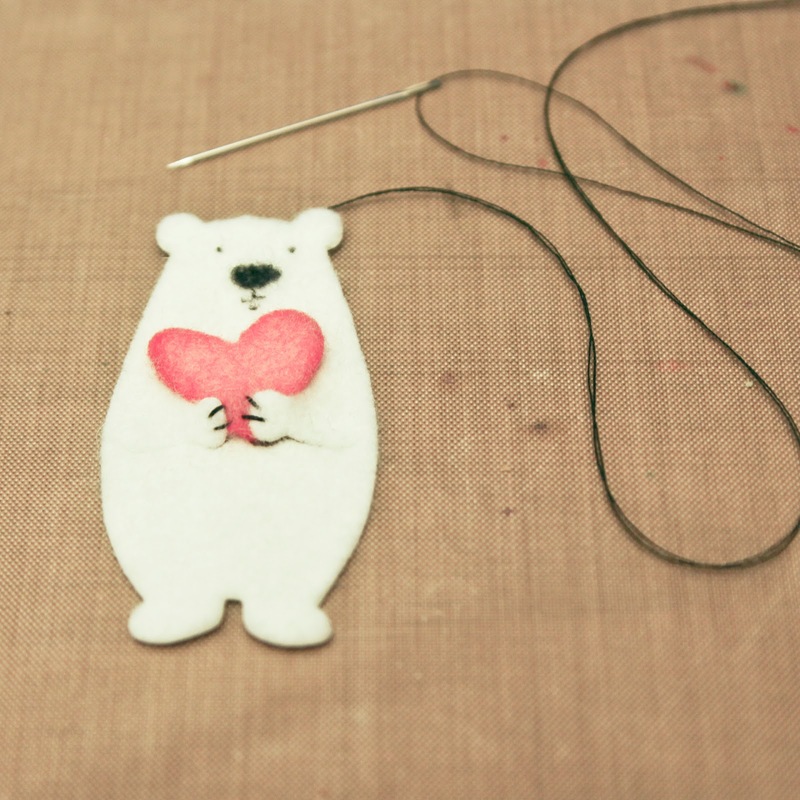 Place the bears together, gesso sides to the inside and stitch together at ears with white thread. Add a little felt glue to head area to secure. Then add velcro pieces inside in the bottom of the tummy area. 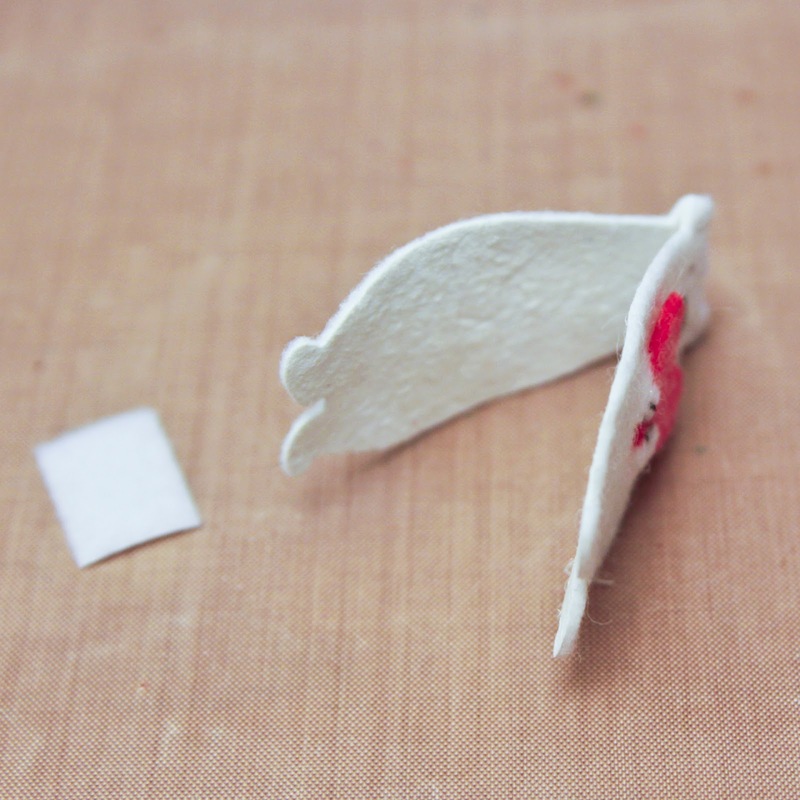 I used sticky felt pieces but added a little extra felt glue to make it sturdier. 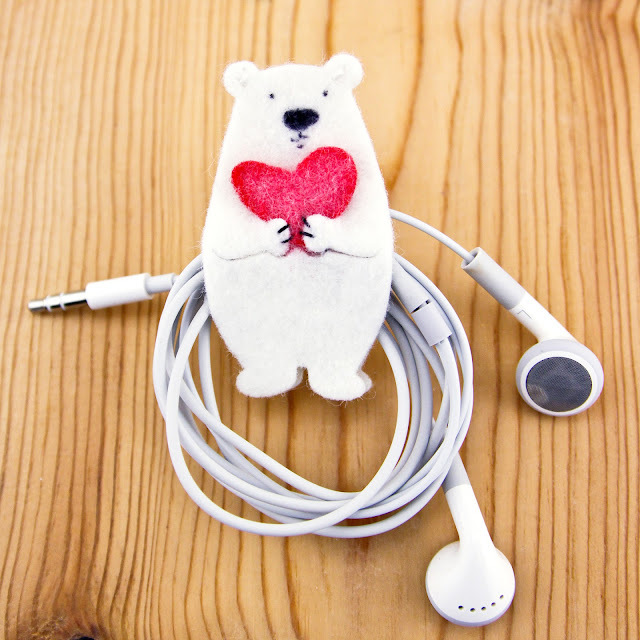 And I placed the "toothy" side of the velcro on the top bear because I think that will make it easier to open. And ta-da! Isn't he cute? Super cute! You are so clever Carly Tee Minner!